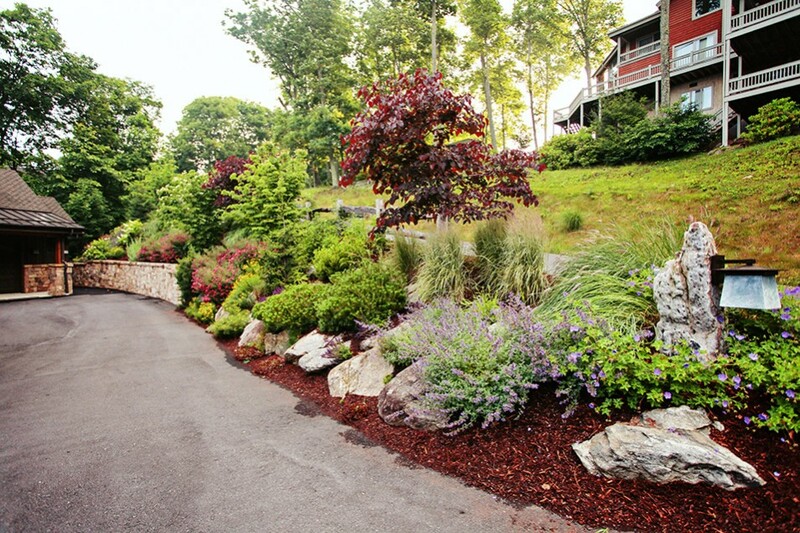 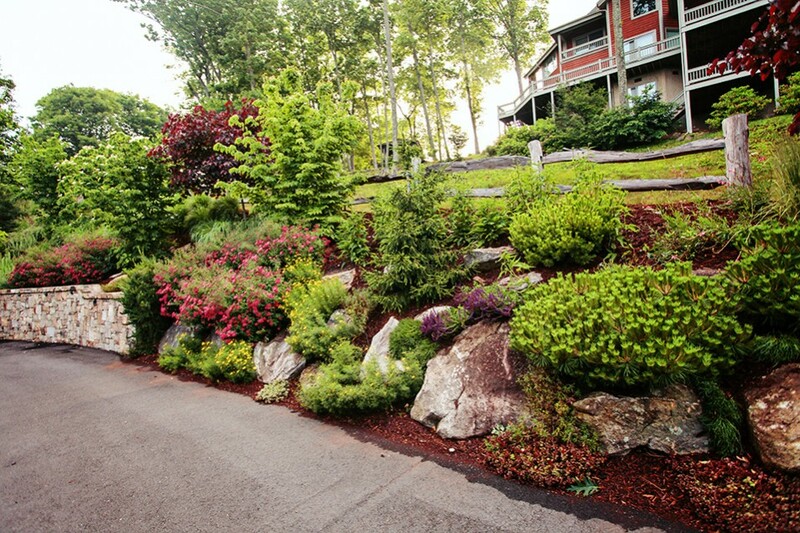 This project had a steep lot, which needed color, life, and protection from erosion. 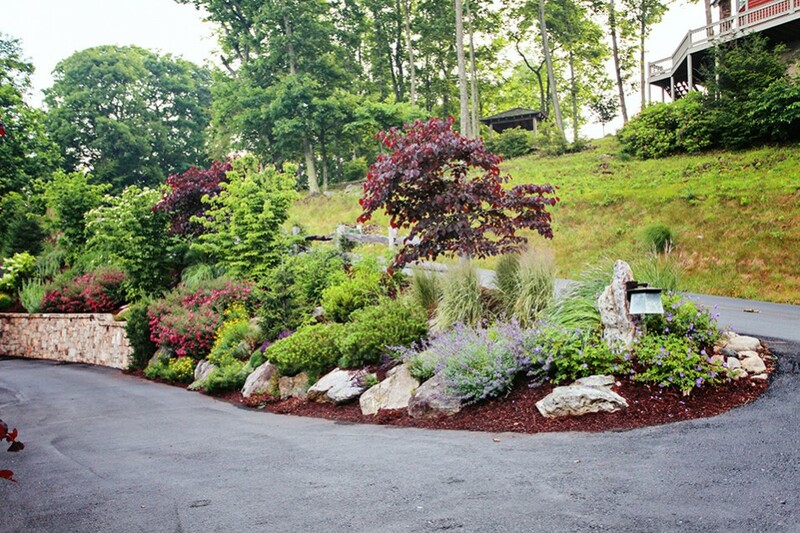 We added boulders to shoulder up the bank and planted the lot with a mixture of very fibrous-rooted perennials and ornamental grasses. 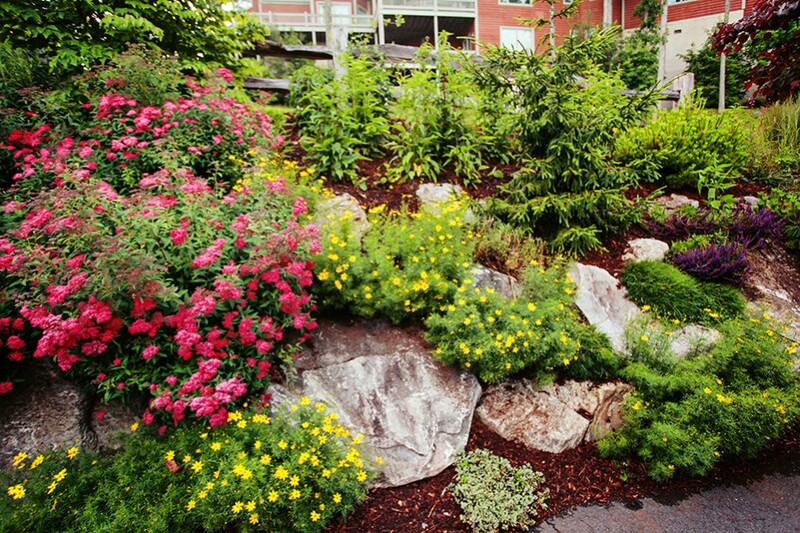 The plants added interest, texture and visual appeal, and anchored the soil to keep it from eroding. 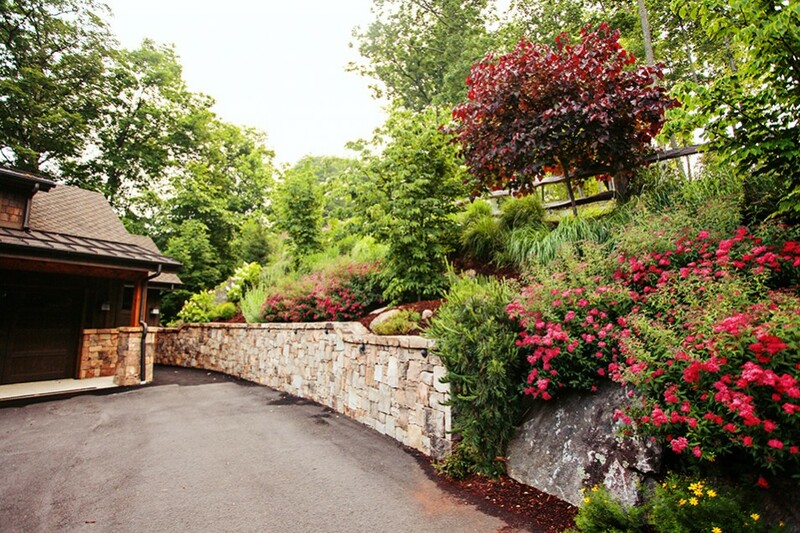 One of our favorite highlights of this design is the light fixture at the driveway entrance, which was custom made from stone to fit in seamlessly in with the design.